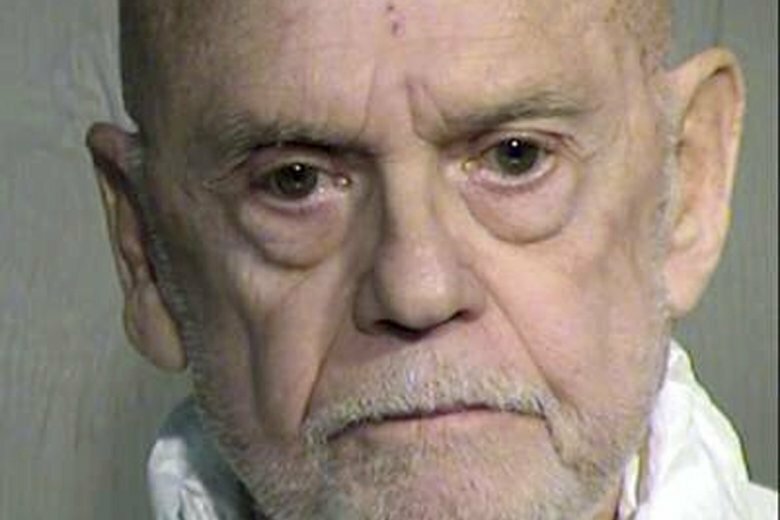 PHOENIX (AP) — More than 10 years after being sent to prison for committing bank robberies in four states, an 82-year-old man fled a California halfway house and returned to his old ways in Arizona, federal authorities said. The FBI said Monday that Charles Richard Manrow is facing charges on suspicion of robbing a suburban Phoenix bank at gunpoint. Manrow was armed with a BB gun on Nov. 15 when he demanded money from a bank teller in Goodyear, according to a complaint filed in U.S. District Court in Arizona. He fled with $1,270, but he was arrested by police at a traffic stop. Manrow admitted in a police interview to being the robbery suspect seen on surveillance images. He has been wanted by the U.S. Marshals Service since September, when he fled a federal halfway house in Long Beach, California. Manrow was living there as part of his recent prison release. Manrow told authorities that he had devised a plan to get into marijuana smuggling in Arizona. He was able to travel thanks to a former drug associate, who gave him $25,000 to pay for his escape, authorities said. While a fugitive, he rode a bus to Georgia, where he bought a car from his daughter, authorities said. Manrow then purchased a map and a cellphone and drove to Oregon. While there, he stole an Oregon license plate and purchased the BB gun, authorities said. FBI officials say Manrow had little money upon arriving in Arizona and decided to rob a bank. He told investigators that had he not been caught, he would have kept robbing banks every two weeks until he could start drug smuggling. A federal public defender listed as his attorney did not immediately return messages left Tuesday. Manrow was sentenced in 2007 to more than 15 years, court documents show. He was convicted of 11 bank robberies in California, Colorado, Utah and Arizona between 2005 and 2007.